Just weeks after its acquisition by Millennium Hotels and Resorts (MHR), Hard Days Night Hotel has been crowned ‘Hotel of the Year’. The Beatles inspired venue located on North John Street, scooped the prestigious accolade at the inaugural Hospitality and Lifestyle Awards 2015 - Work Hard, Play Hard Awards, which took place at Hilton Liverpool. Sponsored by Liverpool BID Company, the event was hosted by Downtown in Business in association with DQ magazine, and saw the arrival of some of the city’s most notable hospitality and lifestyle businesses. 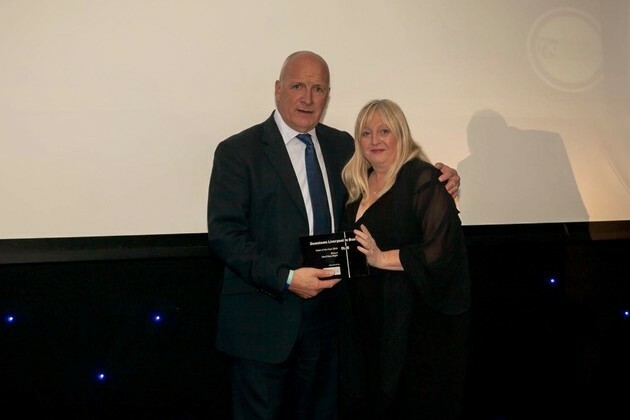 General Manager of Hard Days Night Hotel Mike Dewey said: “It is extremely fulfilling to have been acknowledged by our home city, and therefore receive a prominent award that aims to applaud the efforts of local businesses. In addition to the newly acquired ‘Hotel of the Year’ title, the hotel was recently named ‘Wedding Venue of the Year’ in the Eat, Sleep, Drink Awards, achieved ‘Top Rated’ status in the LateRooms.com ‘Simply The Guest Awards’ and received a TripAdvisor ‘Certificate of Excellence’ for the fourth consecutive year. On August 19, the hotel was acquired by Millennium Hotels and Resorts and has become the hotel group’s 24th property, adding to an already diverse and expansive portfolio that boasts a range of exciting venues in a number of gateway cities across the world. Mike added: “We are delighted to have been welcomed into the Millennium Hotels and Resorts family, and I speak on behalf of over 150 team members when I say that we are very much looking forward to what the future has in store for the hotel.